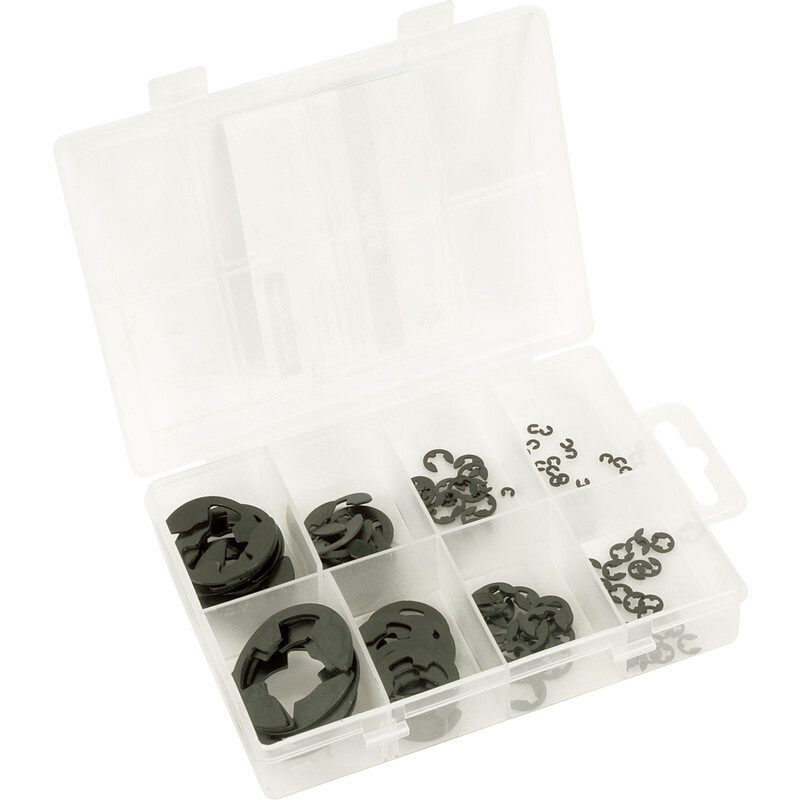 Mini pack of E clips sizes from 3 - 19mm. Includes mini pack organiser case. E Clip Pack (135 Piece) is rated 4.8 out of 5 by 11. Rated 5 out of 5 by tombstone Pete from Cheap but effective I needed just one e-clip, but found it difficult to be sure of the correct size (guidance and rules for taking a measurement are a bit vague, if you can find them!) and ordering just a couple was going to cost me about half the price of this pack - plus, I get a dozen or more 'spares' for the one I need (just in case). Rated 5 out of 5 by Paul S49 from Needed an e-clip for my vintage gramophone. A single clip posted at a popular online auction site cost four times what I paid for whole box of 135 assorted e-clips from ToolStation. Brilliant! Rated 5 out of 5 by Bruno 1224 from A great selection We bought this kit because of the variety,quantity and price of the set. Great value! Rated 5 out of 5 by Frosty ive used before from Just what I was looking for. Got what I was looking for.